Wouldn’t it be great to see clearly without the hassle of glasses and contacts? Today you can. Many patients see 20/20 or even better within a day or two of a brief procedure! Unlike high-volume LASIK “shops,” Dr. Siepser offers many solutions to solve vision problems. He can help patients with astigmatism, high-diopter prescriptions, thin corneas and other challenges to see clearly again without lenses. 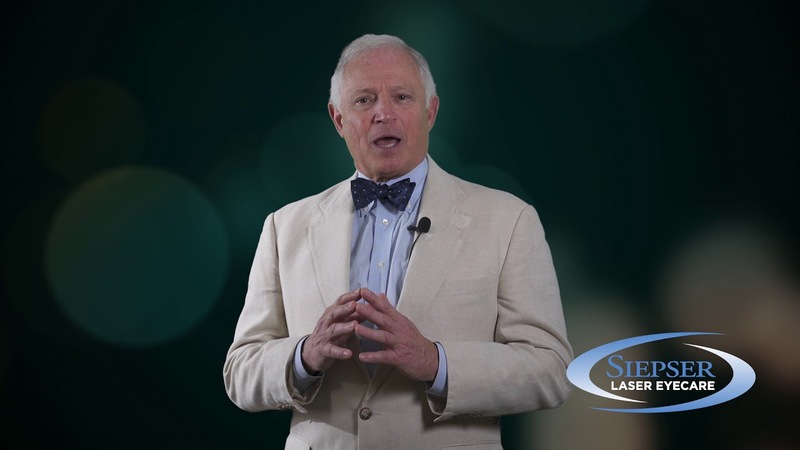 One of the most experienced surgeons in the country, he has performed more than 15,000 laser vision corrections over his career. Review the options with Dr Siepser after your comprehensive exam to come up with the perfect plan for your vision correction. This is the procedure most people think about when they think of vision correction. LASIK has been around for 20 years now, and has restored clear vision to millions of patients in the US and around the world. LASIK works this way: First, Dr. Siepser uses a computerized laser to create a perfectly circular “flap” in the cornea, leaving just a small section as a hinge. The flap is gently peeled back, and the cornea is reshaped with exceptional precision using a cool beam of light. Then the flap is laid back down, creating a natural bandage over the treated area. LASIK takes just about five minutes per eye, and in as little as 24 hours patients typically enjoy dramatically better vision without their glasses or contacts. Implantable contact lenses (ICLs) are contact lens inserted behind the iris and in front of the natural lens, where they provide ultra-high definition vision to correct nearsightedness or astigmatism. ICLs work without removal or permanent reshaping of any part of the eye, and can even be removed or replaced if vision needs change with time. There are very few surgeons in the US who do ICL implants at all, let alone on a regular basis. Dr. Siepser is one of about half a dozen in the country who have implanted many hundreds of ICLs. ICLs are an especially good option for people who are not candidates for LASIK. For people who are not candidates for LASIK due to thin corneas or other challenges, PRK is another excellent option. PRK uses a cool beam of light to reshape the cornea. It differs from LASIK in that the reshaping is done on the surface of the cornea, instead of under a flap. Instead, Dr. Siepser will apply a protective contact lens bandage on the eye to make it more comfortable during healing. PRK is less comfortable than LASIK, and patients need to prepare to spend about 5 days of low activity after the procedure. Vision is better right after surgery, but may take a few weeks to heal to 20/20 or better.